Free tools for adding fun text styles to your Instagram bio, captions or comments. Did you know you can customise the text in your Instagram bio, captions and comments? 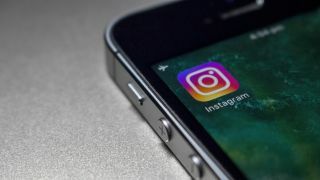 There are several "font generators" for Instagram (we'll explain those quote marks in a minute) that make it easy to use custom text styles on Instagram, helping you to make your posts stand out from the crowd. To be honest, these services are all pretty similar. But there are some small differences in terms of reliability, usability, cost and the number of ads. So in this post, we've selected our five favourite Instagram font generators. As we explain below, none of these Instagram font generators are exactly perfect. But overall, these are the best we've found online, and as an added bonus, they're all totally free. Simple, right? Unfortunately, nothing's ever simple on the internet, and in practice, this process doesn't always work. That's because, despite being called "font generators", you're not actually generating fonts at all, but a special kind of symbol that's part of a system called Unicode. In theory, Unicode should work perfectly in every browser and on every device, but in reality it just doesn't; not yet anyway. And so depending on what OS and hardware you're using, your text may not show up as it's supposed to, and just appear as blank squares. Where this happens, there's not really much you can do to be frank, other than look at the text styles that have rendered correctly, and choose between those. Also note that all of these fonts can also be problematic for those using screen readers, so make sure you consider this. With all that in mind, then, we now present our favourite font generators for Instagram. (Just please don't blame us if they don't work on your system!). Instagram Fonts is our favourite font generator for Instagram, because it does one thing, and it does it well. The interface is clean and easy to follow, and when we tested it out on both phone and laptop, there was zero lag. You simply type or paste your text into the first text box you see, and then scroll down to see your words rendered in a variety of crazy looking text styles. If you find one you like, you can then paste it into your bio, caption or comment on Instagram. If you don't see anything you like, just click the 'load more fonts' button at the bottom and you'll get more (although don't get too excited, as these are essentially variations on a theme). Beneath all this are some ads, including a video with an ambiguous title that at the moment turns out to be a speech about animal rights, in case you were wondering. Then below that is a detailed summary of how the Unicode system works, which is very interesting. Don't worry, though: this is purely background information, and you don't need to read it to use the tool. Number two on our list, Instagram Fonts Generator, works in exactly the same way as number one. You type or paste your words into the first text box, and then scroll down to see them cast in a variety of styles, ready for pasting into Instagram. The main difference here is that there are a ton of emojis at the bottom of the page, which you can also add to your text, should you feel the need. The page was also thrillingly ad-free when we visited it. On the minus side, we found it the act of pasting in our text to be a bit unintuitive and clunky. Specifically, we assumed that we needed to highlight the bold placeholder text and replace it with our own. In fact, you just start typing and the placeholder text disappears; but it took a bit of fiddling for us to work that out. Similar to numbers one and two on our list, the main difference here is a nicer interface, particularly the way the new text appears to the right of the original text, rather than below it. Its creator is clearly keen to improve it further, as there's a suggestion box at the bottom, as well as a facility for comments. A shame then, that most of these comments are just "please follow my Instagram account" and this section could do with a bit of pruning. There are quite a few ads too, but on the whole this site delivers if you're looking to create some cool text for your Instagram. If you want something even flashier and more 'out there' than numbers one to three on our list, then it's worth checking out Cool Symbol's Fancy Text Generator. That's because with this tool, as well as changing the style of your text, you can also 'decorate' it with fancy symbols. Type or paste your text into the blue box at the top of the page, and it will appear in a variety of styles below, all clearly labelled. You then have a choice to either copy the newly styled text, or 'Decorate' it, by pressing the relevant button. If you opt for the latter, you're taken to a new page, which presents an array of quirky text decorations below your main text. Click on one after the other to see the result , and once you're happy, click the blue 'Copy' button and you'll be able to paste it into Instagram. If you don't want to add wacky symbols to your text, though, you might want to steer clear of this site, as it's by far the most ad-cluttered on our list. Sprezz Keyboard is an iOS app for creating custom keyboard themes and fonts for iOS 8, largely through in-app purchases. But on the site promoting it, which we link to above, there's also a font generator that's free to use within your browser. It's a bit fiddly, and not a particularly fun or attractive visual experience to be honest. But hey, if all the other sites on this list are down or broken for some reason, then this one will at least get the job done. You simply scroll down the page to 'Try Fonts Online', click on the placeholder text, and type or paste your chosen word. They will then appear in a variety of styles below, which you can copy and paste into Instagram.